World cuisine with Karen Small of The Flying Fig. Four multi-course food events accompany our exhibition, At Table: Cleveland Culinaria, each planned by one of the participating culinary innovators. Attendees will enjoy a hearty array of small plates and craft cocktails, along with lively conversation with chefs, partnering visual artists and the Cleveland Heights Poet Laureate, Damien McClendon, in an intimate gallery setting. The team will create a table setting that will be based on an aesthetic derived from the urban environment, as well as respond to Karen’s farm to table menu. Inspiration has been derived from local urban farms such as the Ohio City Farm and the North Union Farmers Market (among others), and the urban landscape (graffiti, bridges, train lines, industrial buildings, etc.). Guest poet: Cleveland Heights poet laureate Damien McClendon will read a spoken variation on the event’s theme. Housemade naturally fermented breads and crackers, roasted OCF carrots with tahini yogurt sauce, carrot top chimichurri, crushed Almonds, house cured Ohio pork, marinated burnt peppers, labneh and roasted beets with caraway, local sheep’s milk cheese with chili honey, apple butter, whipped ricotta with eggplant caponata, assorted pickles. Ticketed reservations for each event ($55 food & drink; Heights Arts members $40 food & drink) will be available online, at the gallery, and by phone to 216.371.3457. The Heights Arts gallery is wheelchair accessible. Advance ticket purchase is necessary as space is limited. 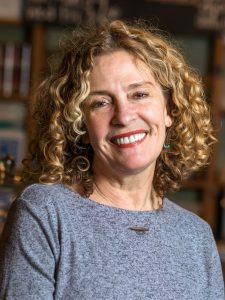 After stints in several restaurants in the Cleveland area, Karen Small opened The Flying Fig in Ohio City in 1999. A self-taught chef and a staunch supporter of local farms, she culled a vision to open a restaurant with a neighborhood vibe that furthered her commitment to local farms, artisanal food producers, and the growth of the downtown area. The Fig, as it is affectionately called by its customers, is in its 19th year and has long been at the forefront of the farm to table movement. The restaurant continues to garner praise, both nationally as well as locally for its farm to table cuisine. It has been featured in Food and Wine, Gourmet, and the New York Times, as well.